IKF PROMOTER: Mr. Sean Griffin at (704)488-3908. WHERE: Tower Ballroom, Birmingham, England. of Stevenage, England. Earlier tonight, (England is 8 hours ahead of us here on the West Coast USA) we were informed that Gill stopped Mike "Mad Dog" Morello of Santa Barbara, California USA in the 9th round of their scheduled 12 round bout. Congratulations to Gill on taking the World Title and to Morello for taking him deep into the fight in what many were calling a truly First Class Title Fight! Gill improves to 19-2 while Morello drops to 10-7-1. Full story on the fight will be posted later this week. IKF Asia is proud to present Bukan Semi-Contact and Kickboxing Championships. These matches will be held from 24th to 27th February 2009, in the city of Bukan in East Azarbaijan province in north west of Iran. More than 400 fighters have been qualified to attend this event and will be fighting in semi-contact and kickboxing styles. Winners will be qualified to attend international matches and fight for higher status. Fighters from 32 teams from all over Iran, combat in 40 different weight groups and will follow IKF rules. 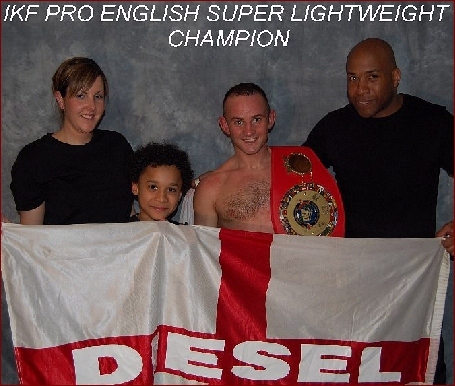 Age groups 7-10 and 11-14 will fight semi-contact and age groups 15-18 and 18+ will fight kickboxing styles. His IKF Profile Page can be found by clicking HERE. It's only been official up for about 10 days and already the new IKF MySpace site has over 200 friends and climbing. The exciting thing though is who some of these friends are and many will surprise you! Late last year IKF Fan Casey Lauer of Studio City, California created the page address. However, the IKF didn't have time to fully create the site past Casey's original work. Finally, over the last couple of weeks the IKF has allotted time to work on the sites layout as well as the marketing for the site. 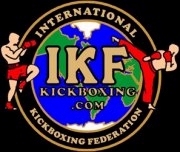 The IKF is pleased to welcome some of the great names in the Kickboxing & Mixed Martial Art world along with many martial artists such as Rick Roufus, Don Wilson, Saekson, Chuck Norris, Duke Roufus, John Wayne Parr, Joe Corley, Guy Mezger, David Cummings, Derek Panza, Felice Herrig, Jackie Chan, Chuck Liddell, BJ Penn, Tito Ortiz, Rampage Jackson, Malaipet, Dolph Lundgren, Gina Carano, Cung Le, Randy Couture, Jongsanan Fairtex, Bas Rutten, Urijah Faber, George St. Pierre, Pat Miletich, Joe Rogan, Matt Hughes and Goldberg just to name a few. The surprising thing are the friends that are associated with the site now that are not in kickboxing, MMA or martial arts but must have an interest in the sports such as Tom Hanks, Matthew McConaughey, Sheryl Crow, Clint Eastwood, Pro boxers are also joining is such as Lennox Lewis, Mike Tyson and Butterbean. Even the artist of the sites song, Eminem is now a friend along with other groups such as Coldplay and U-2. As the saying goes, "You can't be first, but you can be NEXT!" So, Who's next? "IKF Amateur Muay Thai & Kickboxing Championships"
WHAT: IKF Amateur Kickboxing - OSR Format & MTR format. MORE IKF ACTION THIS WEEKEND! IKF PROMOTER: Mr. Jordan Pallen at (510) 914-6764 or 630-9254. James Lew's film, "18 Fingers of Death" will air on ABC, Sunday February 22nd, 2009. 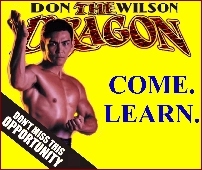 This episode was done in 2001 and included many Great Martial Arts Stars and Kickboxers such as Howard Jackson, Cung Le, Joe Lewis, Danny Steele, Bill Wallace, Alex Gong, Olando Rivera, Duke Roufus, Tommy "Bee" Bottone and of course, Don 'The Dragon' Wilson. Dragon Action - Click HERE! WINNER: Unanimous decision Rob 'Diesel' Stevens A: 71-80 B: 70-80 C: 69-80. Split Decision Draw: A: 38-39, B: 38-38, C: 39-38. WINNER: Majority decision to Shaun Hurdman A: 47-48, B: 48-47, C: 49-47. IKF Headquarters is awaiting an explination for the "No Contest" ruling on this bout from IKF Representative Colin Payne. WINNER: Unanimous decision Ricky Atkins A 26-30, B 26-30, C: 26-30. WINNER: Unanimous decision Rachael Ball A: 28-29, B: 29-28, C: 29-28. 3 x 2, Amateur Rules. WINNER: 2nd round retirement, TKO win to Myah Williams. Majority Draw A: 28-28, B: 29-29, C: 29-28. WINNER: Unanimous decision Danny Harkin A: 27-30, B: 27-30, C: 28-30. WINNER: Unanimous decision Dalton Blackburn A: 30-24, B: 30-24, C: 30-24. WINNER: Unanimous decision Joss Gilbert A: 30-26, B: 30-26, C: 30-26. WINNER: Unanimous decision Craig Priestly A: 27-30, B:28-30, C: 28-30. Amateur fight sports (Kickboxing & MMA) are going through some tough times in the State of Illinois. Although the first two reviews for amateur sanctioning bodies was held two weeks ago, as of today, there still are no amateur sanctioning bodies approved to sanction amateur Kickboxing or MMA Events in Illinois. The review for the ISCF (MMA) and IKF (Kickboxing) was suppose to be today, but was rescheduled for a week from today, Tuesday, February 24th. Please note that as of right this minute, there are still NO sanctioning bodies approved in the State of Illinois. So, that being the case, there aren't any amateur events allowed yet. We do know about one event (Southern Illinois) and are dealing with that now. Although no Amateur sanctioning bodies have been approved, one of the organizations "Accepted, but not Officially Approved" choose to do their own thing. Two weeks ago, the most well known of the "Rubber Stamp Sanctioning Bodies," Kick International and another Illinois Sanctioning body underwent their review to be accepted by the Illinois Athletic Commission (IAC) to sanction Amateur Kickboxing & MMA Events in Illinois. After both sanctioning bodies went through their review, they were voted on by the IAC for acceptance. After a closed session, the IAC invited everyone back into their meeting room and announced that both were accepted. However, although the other sanctioning body officials stayed at the meeting to see if they were accepted or not, the representatives of Kick, Frank Babcock and Ted Welsh both left after their review. Someone may have past on information to them saying they were accepted, but what they were not told was that although both were accepted, neither was given approval to sanction events in Illinois until they made changes and additions to their rules and regulations to be "Officially" APPROVED. The biggest issue with Kick with the IAC was blood testing. The IAC was FIRM that they would make blood testing for amateur fighters a MANDATORY requirement for all accepted amateur sanctioning bodies. Although the other organization confirmed they would do so, both Babcock and Welsh of Kick hesitated, then never confirmed whether they would make this a requirement of their sanctioning. This alone should have been a reason not to accept Kick as an accepted sanctioning body at the time. Upon the IAC's announcement, nearly everyone (except for the 2-3 in the room who were kick associates.) in the room was very surprised that the IAC accepted Kick International, even knowing they needed to add and or change some of their rules and regulations before being Officially Approved. Without official approval from the IAC, Kick went ahead and confirmed sanctioning of an event on February 27th in Illinois. The additional surprise was the added sanctioning body letters on the event ads. A sanctioning body created by the events promoter (Jim Boucher) known as PKL. Not only was PKL never approved by the IAC, they have never even applied. Adding to this, they are not even a real sanctioning body. They are just some letters the promoter put together for his own event titles. Making things more confusing for the IAC was the Amateur event held in Southern Illinois two weekends ago that was illegal since no Amateur sanctioning bodies have been approved yet. "Although not confirmed," rumor has it that Kick was involved in that event as well. Another addition required by the IAC was a major jump in insurance requirements for Amateur events. A minimum insurance amount of $25,000 medical, $25,000 accidental death and dismemberment and $500,000 liability/property damage is now a mandatory requirement. All the added IAC requirements can be found on the ISCF Illinois Rules page found by clicking HERE. One topic that has been a big discussion has been the blood testing requirements. Amateur Promoters need to know that first of all, all MMA fighters must be a minimum of 18 years of age. ONLY Amateur MMA fighters are required to have the Illinois Mandatory Blood Testing done. The Blood Testing DOES NOT apply to Amateur Kickboxing or Karate tournaments for competitors of ANY Age. 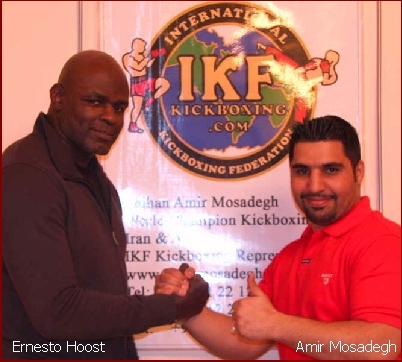 This past week IKF Iran Representative Amir Mosadegh, the Iranian Martial Arts Federation and IKF Asia welcomed well known Kickboxing fighter Ernesto Hoost To Iran. While there, Hoost took the opportunity to hold several events that included. 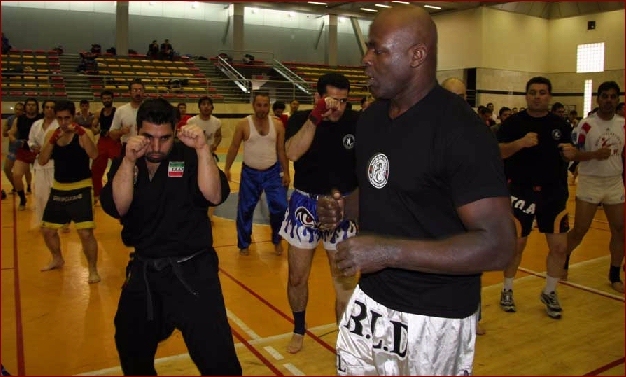 Training sessions and seminars by Ernesto Hoost held by Iranian Martial Arts Federation and IKF Asia through PIMAF. Iranian Sports community experienced a huge revolution yesterday, as one of the biggest and brightest martial arts superstar, Ernesto Hoost, visited Iran. He is called "Mister Perfect", which all martial arts experts agree that it really suits his character. IKF Asia representative and PIMAF president, Shihan Amir Mosadegh together with Iranian Martial Arts Federation, welcomed Grand Master Ernesto Hoost in Tehran and hosted two seminars and a training session for Iranian fans. Mr. Perfect is a 4-time K-1 World Champion. He attended two training sessions for more than 600 male and female fighters and left a sensational memory for everyone here. 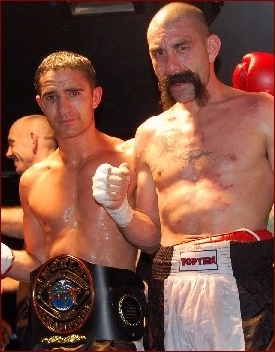 Shihan Amir Mosadegh who spent the most time with Mr. Hoost describes his experience: "Since early times when I watched K-1 videos and followed the matches closely, one fighter has always been my maestro and my mentor. I want to talk about Mr Perfect. He has always defeated his opponents with utmost power and strength. I have always dreamt of training with him. Because I have always believed that there has never been a greater and mightier fighter than Mr Perfect. I am very pleased that with his presence in Iran and with the support and cooperation of IKF Asia, we were all given the opportunity to learn and train with him." He added: "During these training sessions, I realized that not only Mr Hoost possess superior techniques and power, he is also a very modest and warm hearted human being. He attentively attended two large seminars and training sessions and spoke with and educated the Iranian fighters." On the last night of his stay in Iran, a memorable ceremony was held for Mr. Hoost and Master Laurent Daussy, who is one of the prominent Karate Coaches in Netherlands. That was a very memorable night for the Iranian martial arts family. Shihan Mosadegh had a final meeting with Mr. Hoost and his programs manager about IKF and kickboxing in Asia and some exchanges were made about future cooperations between IKF Asia and Mr. Hoost's Organization. We wish him and his family a great and prosperous life. For more photos click HERE. 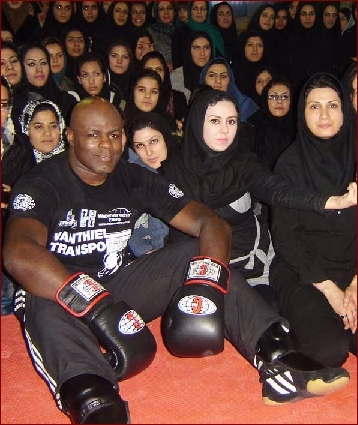 Training session by Ernesto Hoost for Iranian Female fighters. IKF Asia representative and PIMAF president, Shihan Amir Mosadegh together with Iranian Martial Arts Federation, welcomed Grand Master Ernesto Hoost in Tehran and held a training session for Iranian female fighters. For photos click HERE. 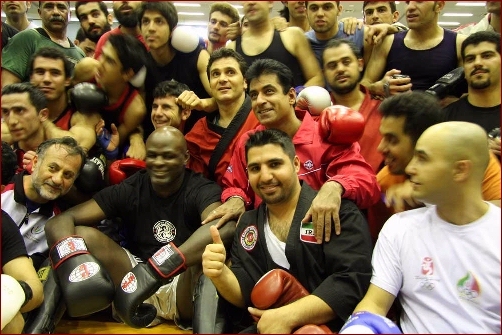 Iranian Sports community experienced a huge revolution yesterday, as one of the biggest and brightest martial arts superstar, Ernesto Hoost, visited Iran. On the last night of his stay in Iran, a memorable ceremony was held for Mr. Hoost and Master Laurent Daussy, who is one of the prominent Karate Coaches in Netherlands. For photos click HERE. PIMAF represented IKF last week for Full Contact Championships, held here in Tehran. This event was sponsored and supported by Kevin Kian, sole representative of Nokian Tyres in Iran. Fighters from 4 age groups gathered here and competed in various weights according to IKF standards. Among more than 200 fighters from all over Iran, Tehran Team received 4 gold, 3 silver and 7 bronze medals and won the first place in this event. Tehran Team was coached by Mostafa Mosadegh and Mohammad Mosadegh. The prizes were given to winners by Masters Mostafa Mosadegh, Behrooz Mohammad & Sajjad Ghobadinejad who are prominent Iranian champions. During this event, some promising new faces were introduced to the full contact style of the IKF. The event was concluded by a special speech made by Shihan Amir Mosadegh to the contestants on growth and promotion of IKF's missions in Asia and Iran. The speech was warmly greeted by the audience and at the end, he spent some time answering questions on IKF and it's programs. For photos click HERE. IKF Kickboxing Asia today held a training seminar for martial arts referees. The speakers at this seminar were Shihan Amir Mosadegh and Master Hamidreza Hejazi and was taught by Master Bahram Jodari, Iranian Martial Arts Federation Referee Committee. More than 40 referees from around Iran attended this seminar and were educated about the most recent rules and regulations of IKF Kickboxing. At the end of seminar an examination was taken and certificates were issued to those who passes the tests. The report of this event was published in JesmoJan sports newspaper. For photos click HERE. Amir Mosadegh of Tehran, Iran was born on May 10th, 1980. He started to practice Martial Arts at the age of 5 with his father, who was one of the best and leading trainers in Iran in his field. He has been teaching since 1996 in different Master Classes and Schools in Iran, India and Greece. 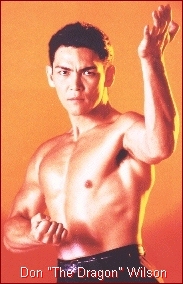 He has a Diploma from FIMA University in the field of Martial Arts. He instructs many classes which include Light Contact Karate, Semi Contact Karate, Body Contact Karate, Full Contact Karate, Low Kick, Free Style, Kickboxing, Shoot boxing, Muay Thai Boxing, Wrestling Fighting, Wrestling, Brazilian Ju Jitsu, Aikido, Advanced Self-Defense, San-Shou, Kung Fu Toa, San Da Wang, Wushu, Traditional Cold Weapons, Physical Fitness, Sports Nutrition, Self-Confidence and Self-Discipline. 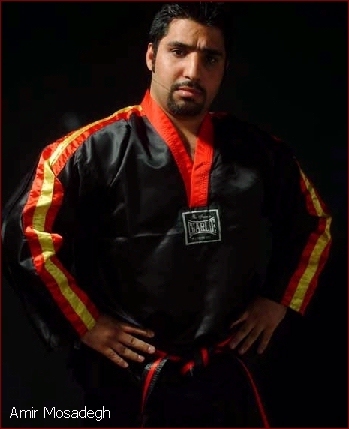 Amir is the President of the Persian International Martial Arts Federation. He has more than 2,000 students around Iran, some of them are now World Champions and also International trainers all over Iran. His overall plans are to make a Professional and Strong group in Iran in the forming of IKF Iran and expanding IKF Asia with our other IKF Asia Associates. Amir's other plans are to have two IKF National Tournaments. In these Tournaments they plan to invite fighters from all over Iran in the style of kickboxing. From these Tournaments they will introduce the future champions of kickboxing in Iran in 4 age classes: Under 10, Under 14, Under 18, and Under 35. Fighters of the bouts will fight for the National Championship in each age class. In March he hopes to have an event for the female fighters. For the Iranian New Year which is at the start of spring, Amir and his Team will sanction another event. In addition to having their IKF certificate as IKF representation of Asia they will also work to attain their permits from the Iranian Olympic Committee under the IKF's name. "We would also like to extend our humble thanks to Mr. Fossum and Mr. Davis." Said Amir. "We are sure that we can help the IKF grow in this region and this part of the world and we plan to host many events for the IKF here." He continued, "We are hoping to get things started as soon as possible so we can launch the Asian IKF site and find more representatives in Asia and organize many more events. It's also in our plans to have events similar to K-1 events that are held in many countries and invite the champions of these events and hold a night show and have a best of the best championship. Amir and his team have big plans and are very excited about their potential under the IKF Banner. "We are proud to have Amir as part of the IKF." Said IKF President Steve Fossum. "We had a lot of applications from the Middle East and in the end, we are confident with our decision to select Amir as an IKF leader." IKF Representative Johnny Davis has also spent a lot of time speaking to Amir. "He's very serious about what he wants to accomplish." Said Davis, "This played a major part in finalizing our decision with him as an IKF Representative and all of us here at the IKF wish him and his Team Great success!" Friday Night Fights at Plush is always a great night. Great fights, Great Spectators, Great Coaches, What more could you ask for? One of the best fights of the night was between Joseph CoCicero (1-0) and Stan Kordonskiy (1-2.) These guys were in great shape and ready to fight. This was Joe's first fight and he won by unanimous decision. Looking forward to the March 13th fights there is a rematch between Paco DeJesus and Chris Roach. These two hooked it up this past January and Chris won which is why Paco wants a rematch. There is also a team coming from Puerto Rico so it should be a great night! Dennis Heijduk, Jacksonville, Florida, USA, 1-0, 148, 5'11", 10-8-93, Self, 904-738-7722, defeated Scott Logan, Jacksonville, Florida, USA, 3-3, 150, 5'9", 9-28-92, Lonnie Bowen, 904-210-7778, by unanimous decision with judges scoring the bout 30-27, 30-27, 30-27. Joseph LoCicero, Gainesville, Florida, USA, 1-0, 159, 6', Gainesville Dojo, defeated Stan Kordomskiy, Jacksonville, Florida, USA, 1-2, 160, 5'11", 6-13-79, World Martial Arts 904-642-3150 by unanimous decision with judges scoring the bout 30-27, 30-27, 30-27. The bout between Greg Bamberg, of Jacksonville Florida USA, 2-0, 198, 6', 12-23-75, Jeremy Moore 904-716-4126 and Pete Santiago, of Interlachen, Florida, USA, 0-1, 192, 5'9". 9-12-84, Pete Santiago 352-214-8144 is under review. There could have been an error administered in the IKF 3 Knockdown Rule. Keith Dixon, Orange Park, Florida, USA, 2-0, 160, 5'10", 3-1-85, Smiley Combat Athetlix, 904-644-7571, defeated Dwaine Davis, Orange Park, Florida, USA, 0-1, 142, 3-22-82, Gene Baptista, 904-644-7999, by Unanimous decision with judges scoring the bout 30-26 , 30-26, 30-26. Joshusa Johnson, Orange Park, Florida, USA, 160, 2-1, 5'10", 1-8-85, Smiley Combat Athletix 904-644-7571 defeated Leslie Straton, Ponte Vedre, Florida, USA, 4-6, NEED WEIGHT, 5'9", 6-4-84, Self, 904-817-0874 by unanimous decision with judges scoring the bout 30-24, 29-26, 30-24. Charles Tobin, Jacksonville, Florida, USA, 2-0, 166, 5'9", 5-8-90, Gene Baptista, 904-644-7999, defeated Chris Thrash, Jacksonville, Florida, USA, 0-2, 160, 5'9", Self, 904-349-6179, by TKO at :52 seconds of round 2. Beasley & Lewis' New Book Out! EHE partners up with Vision Star Entertainment Inc to bring you the best martial art / sports / health supplement expo at the Orange County Convention Center. Be one of the first to learn from martial art legends, Don "The Dragon" Wilson and Bill "Superfoot" Wallace, as they will increase your peak performance in the ring. In addition, witness these two legends display their power, speed, and accuracy in a special demonstration on Friday, April 17th. For more information, click on the either of the photos here. Don "The Dragon" Wilson click HERE. This past Tuesday the Illinois State Professional Athletic Unit Division of Professional Regulation Financial and Professional Regulation held the first of two meetings in regards to the approval of Amateur Sanctioning bodies in Illinois. This first meeting the commission interviewed two of the 5 Amateur Sanctioning body applications, KICK and Combat Consulting. After each groups interview the Commission voted to approve each sanctioning body with several conditions of some of their rules and regulations that need adjustments or changes. Once these adjustments and changes have been accepted, these two sanctioning bodies will be allowed to sanction both Amateur MMA and Amateur Kickboxing in Illinois. However, all adjustments and changes will first need to be approved by the Commission for them to get the green light to sanction amateur events. ISCF and IKF President Steve Fossum attending this first of two meetings even though the ISCF and IKF was not on the first meeting schedule. Sadly to say, some people walked away with the wrong idea about the results of the first meeting. Already associates of KICK International as well as the heads of KICK International themselves have been heard claiming that they are one of only two accepted amateur sanctioning body in Illinois with no need of revising their rules or regulations and that no other sanctioning bodies will be approved. The main comment we have been informed that the KICK International guys are saying reads something like, "Only us and Combat Consulting were approved and they said no to ISCF, IKF and ISKA and that they will need to re-apply." This of course is totally false and it's sad that the KICK guys are making such accusations, but we would expect nothing less from them. The ISCF and IKF (Along with the ISKA) were not in a sense, "turned down or turned away" by any means. The ISCF and IKF knew they were not on the agenda to be reviewed by the board for this first of two meetings. The reason is because ISCF, IKF and ISKA got their paperwork in "After" the other two did and they did not have time to review ISCF, IKF and ISKA because of how long the reviews were in addition to all their other agenda items on for this first meeting. Mr. Fossum attended the meetings simply because he wanted to hear everything the commission talked about along with discuss the new rules and regulations with some of the members of the commission in person. "Being there was of great value." Said Fossum. "Even though we were not on the agenda to be reviewed, it gave me an opportunity to hear the many items of discussion among the many in attendance." 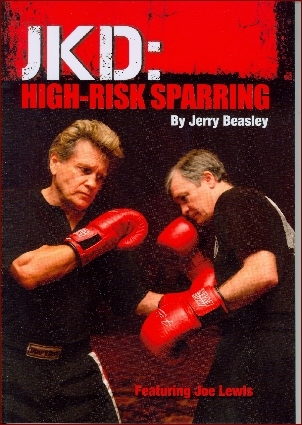 The ISCF and IKF review will be on February 17th, along with the ISKA and another sanctioning body. The State of Illinois has made a mandatory/minimum rules requirements for any and all Amateur Sanctioning bodies for MMA (With some rules applying to kickboxing as well) and the ISCF has posted them off of their Rules Page. The page link can be accessed by clicking HERE. Could The Dragon Fight Again... In South Africa? There is a Rumor going around... If we hear more, we will fill you in. 1/31/09: Fighters from across the state showed up this past weekend in Rocklin, California to kickoff a big year for IKF Point Kickboxing and the Newly formed ISCF West Coast Grappling Circuit! The action was intense, fans screamed as hands were raised in victory! Men, Women and Children competed in assorted styles of Kickboxing including High Kick, Low Kick and Muay Thai Semi Contact Divisions. Chief Referee Dan Stell kept all the action under control and showed excellence as he allowed fighters to feel the intensity of a real match although the 16 oz for adults and 12 junior boxing gloves kept all the fighters safe! The Grappling divisions really heated up for the first event of the year. Chief Official Mr. DeAlba was near perfect in his task and allowed fighters to do their thing! Before the Grappling division started a special moment of silence was given to the late great Helio Gracie... (Mr. Gracie was the head of the Gracie JuJitsu dynasty) it was very sobering moment for everyone in the club..
Additionally, the IKF/PKB Awards Banquet went off without a hitch. Over 80 fighters, trainers and fans stayed around to enjoy the fun and great food at Venita Rheas Restaurant...a restaurant I'm sure many in attendance will be talking about for a while! Simply put...the food was delicious and the portions off the chain! Most people in attendance were last year's divisional champions and received their awards. Along with that, some other special awards were giving. Mr. Dennis Guila, (Left) a promoter who always promotes very good events, supports other events and gives a lot to see that fights are fair and fun. He received the well deserved honor of Promoter of the Year for the IKF/PKB 2008. IKF West Coast Representative Rubie Navarro was also recognized for a very good year in keeping a tally of circuit points as well as working at events in many capacities. Her Father, Mr. Carlos Navarro was also recognized as a supporter of the IKF/PKB. Moreover, IKF/PKB President Johnny Davis gave credit to Mr. Navarro as the one who gave him the idea about how Semi Contact Kickboxing could be apart of the huge martial arts tournament circuit. 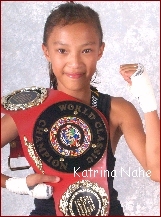 Twelve year old Dynamo Katrina Nahee (Right) of Antioch, California received the well earned Fighter of the Year Award! Katrina always comes to fight...too often though, there is no one in her division to fight. Therefore, she often fights boys and still comes out a winner. She quiet, tough and soft spoken but gear her up and she transforms into a fighter that's confident and almost brilliant in her delivery of techniques. All in attendance came to their feet as Katrina was given her special Trophy Belt award! 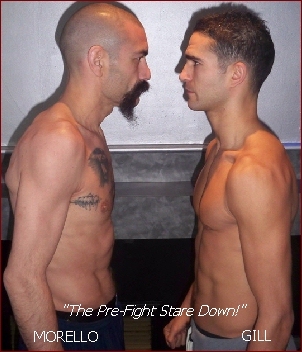 Little Caleb Depello (Left) of Sacramento, California will fight you in any division you want! He's a tiger! Muay Thai, International, American High Kick, Grappling...you name it...he does it and does it well! 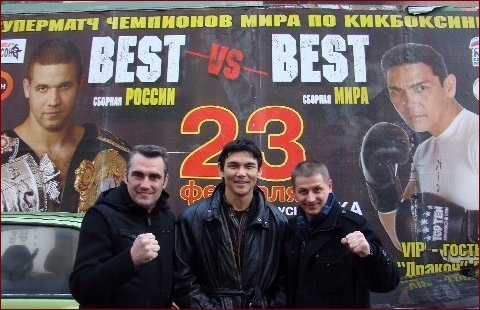 Caleb received the Most Diverse Fighter for 2008. The year of 2009 looks bright for the IKF/PKB! More and more competitors are coming out! More and more trainers are starting to see the benefits to their fighters and their clubs. The IKF/PKB is the fastest growing sport on the martial arts circuit and this year...its going to yet another level with the continued help of passionate clubs, fighters and fans! Forward March! 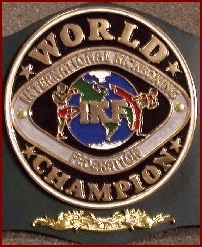 For more information on IKF Point Kickboxing events go to www.IKFPKB.com - Pictures and Results coming soon! Note: Big Scott Manis of Santa Rosa received the Most Improved Fighter for 2008 but was not in attendance. Pictures and more coming soon.